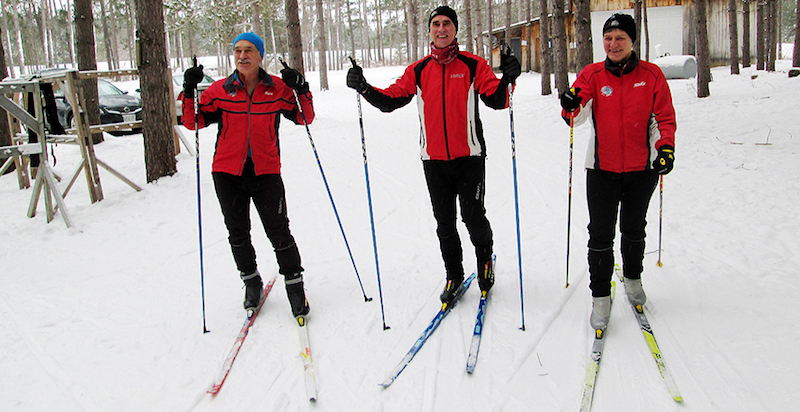 Volunteers help us continue to offer some of the best cross-country ski trails in southern Ontario. When you volunteer with the Bruce Ski Club, you make it possible for us to keep our cross-country ski and snowshoe trails affordable and accessible. Volunteers play many roles in the Bruce Ski Club — from grooming the ski trails, to helping out with cross-country ski races, to keeping our facilities looking great. Even our Board of Directors and Executive Committee are staffed by volunteers. If you are interested in becoming a volunteer with the Bruce Ski Club, mark your preferences on your membership form or contact us at any time of the year. Here are some of our current volunteer opportunities. If you have another idea for how you can use your skills to help the club, please contact us. Thanks to everyone who helps out. Regardless of how large or small your contribution, you make the club happen. Being a Bruce Ski Club volunteer is sometimes for the birds … literally. 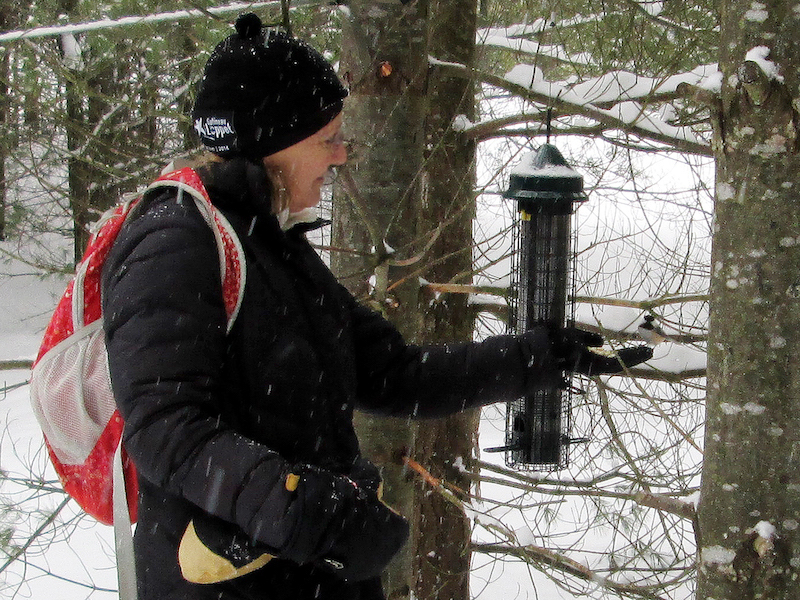 Here is one of our many volunteers feeding the birds at Sawmill Nordic Centre in Hepworth, Ontario.